The Nyírlugos obsidian core depot find is one of the most important lithic assemblages in the collection of the Hungarian National Museum (HNM). The original set comprised 12 giant obsidian cores, of which 11 are currently on the permanent archaeological exhibition of the HNM. One of the cores is known to be inDebrecen. The first publication attributed the hoard, on the strength of giant (flint) blades known from the Early and Middle Copper Age Tiszapolgár and Bodrogkeresztúr cultures, to the Copper Age. In the light of recent finds it is more likely to belong to the Middle Neolithic period. The source area was defined as Tokaj Mts., about100 kmto the NW from Nyírlugos. The size and beauty of the exceptional pieces exclude any invasive analysis. Using Prompt Gamma Activation Analysis (PGAA), we can measure major chemical components and some key trace elements of stone artefacts with adequate accuracy to successfully determine provenance of obsidian. Recent methodological development also facilitated the study of relatively large objects like the Nyírlugos cores. The cores were individually measured by PGAA. The results show that the cores originate from the Carpathian 1 sources, most probably the Viničky variety (C1b). The study of the hoard as a batch is an important contribution to the assessment of prehistoric trade and allows us to reconsider the so-called Carpathian, especially Carpathian 1 (Slovakian) sources. Baxter, M. J. & Beardah, C.C. 1995, Graphical Presentation of Results from Principal Components Analysis, In: Computer Applications and Quantitative Methods in Archaeology, (Huggett J. & Ryan, N., Eds. ), BAR International Series Vol. 600, Tempus Reparatum, Oxford: p. 63-67. Biró, K.T. 1987, Chipped stone industry of the Linearband Pottery Culture in Hungary, In: Chipped stone industries of the early farming cultures in Europe, (Kozłowski, J.K., & Kozłowski, S.K., Eds. ), Archaeologia Interregionalis Vol 240, Warsaw-Cracow University press, Cracow: p. 131–167. Biró, K.T. 1998, Lithic implements and the circulation of raw materials in the Great Hungarian Plain during the Late Neolithic Period, Hungarian National Museum, Budapest, 350 p.
Biró, K.T. 2001, The "ham'' of Bagódomb, In: Festschrift für Gheorghe Lazarovici, (Draşovean, F., Ed. ), Muzeul Banatului, Timisoara: p. 91–122. Biró, K.T. 2003, Tevel flint: a special constituent of the Central European LBC lithic inventories, In: Production and Management of Lithic Materials in the European Linearbandkeramik, (Burnez-Lanotte, L., Ed. ), Actes of the XIVth UISPP Congress, University of Liège, Belgium, 2-8 September 2001, Colloque 9.3, BAR International Series Vol. 1200, Archaeopress, Oxford: p. 11–17. 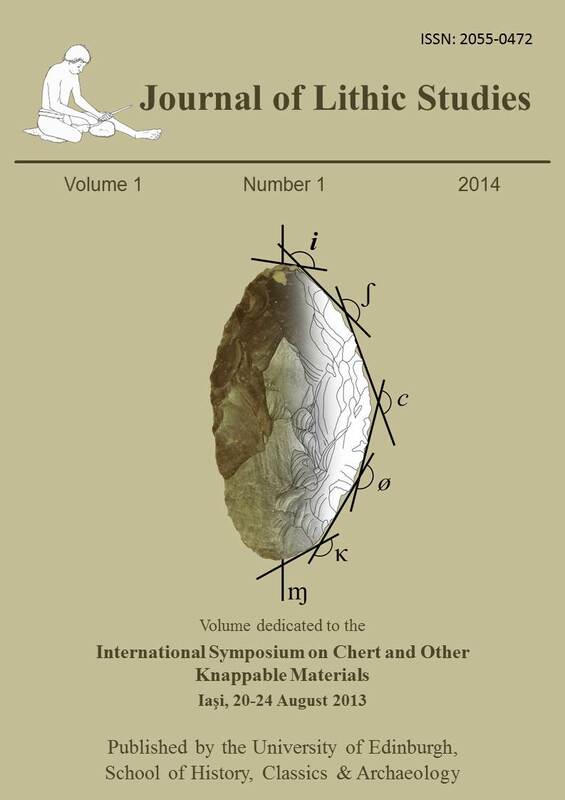 Kaminska, L. 2013, Sources of raw materials and their use in the Palaeolithic of Slovakia, In: Papers of the Visegrád fund project 21110211, (Mester, Z. Ed. ), Polish Academy of Arts and Sciences, Kraków and Institute of Archaeological Sciences of the Eötvös Loránd University, Budapest, Kraków-Budapest: p. 99-110. Révay, Z. 2009, Determining Elemental Composition Using Prompt Gamma Activation Analysis, Analytical Chemistry, 81: 6851–6859. doi:10.1021/ac9011705. Révay, Z., Firestone, R. B., Belgya, T. & Molnár, G. L. 2004, Prompt Gamma-ray Spectrum Catalog, In: Handbook of Prompt Gamma Activation Analysis with Neutron Beams, (Molnár, G. L., Ed. ), Kluwer Academic Publishers, Dordrecht-Boston-New York : p. 173–364. Visy Z., Nagy M., B. Kiss Zs. eds. 2003, Hungarian Archaeology at the turn of the Millennium, Teleki Publishers, Budapest, 482 p.